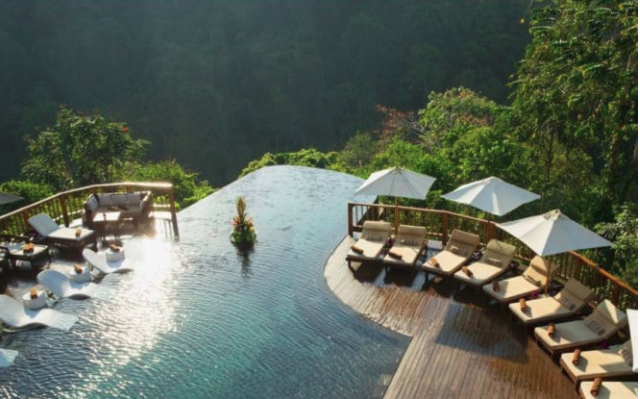 Infinity pools are breathtaking in themselves, however, there are some that stand out from the rest. If you’ve ever been in an infinity pool, you know how spectacular they can be, and how perfect they are for unwinding and pampering. 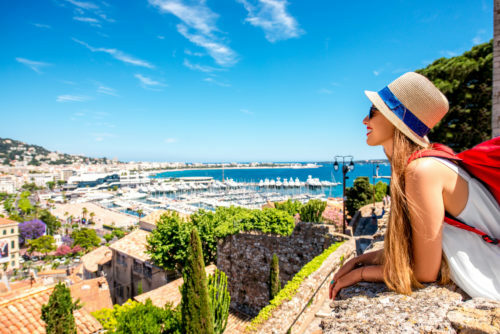 If you’re a fan of infinity pools, or are interested in visiting one, here’s a list of six of the most breathtaking infinity pools in the world. The infinity pool at the luxurious Kempinski Hotel Ishtar on the Dead Sea in Jordan is beautifully different. 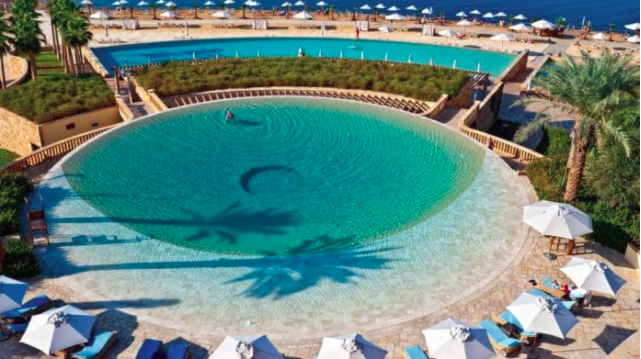 Circular in shape, it offers a stunning view of the Dead Sea and is surrounded by the hotel’s lush gardens. This pool is perfect for a romantic evening with your loved one, as it doesn’t close until 11 pm! 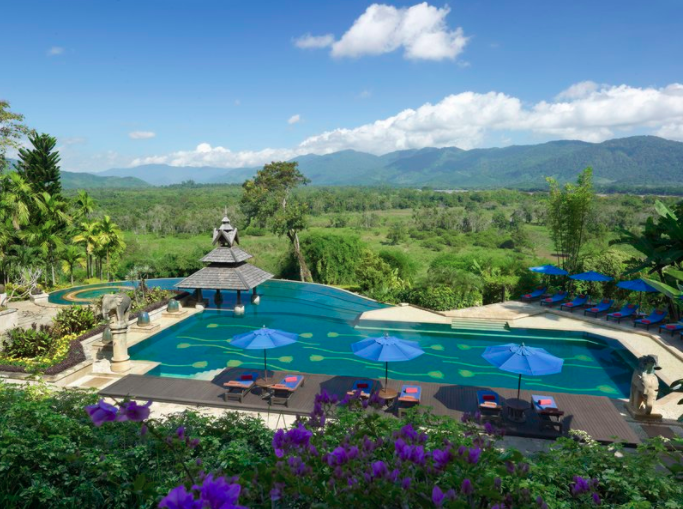 Located in Chiang Rai, Thailand, Anantara’s Golden Triangle Resort offers an infinity pool with a view that’s hard to beat. Encircled by elegant trees, you can relax in the water while enjoying the picture-perfect vista of the Mekong River down below. This gorgeous hotel in Adelboden is nestled in the Swiss Alps and is committed making you feel 100% relaxed. The Cambrian achieves this with every square inch of their minimalistic Alpine design—including their heated infinity pool. 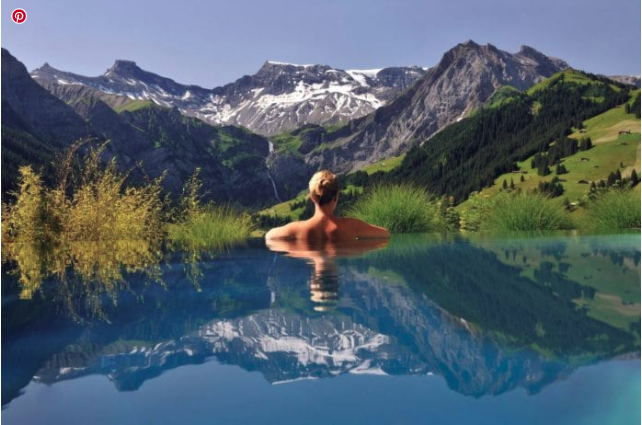 Unwind on the edge of a mountain in a warm pool as you stare into the Swiss Alps. What a dreamy location for an infinity pool! 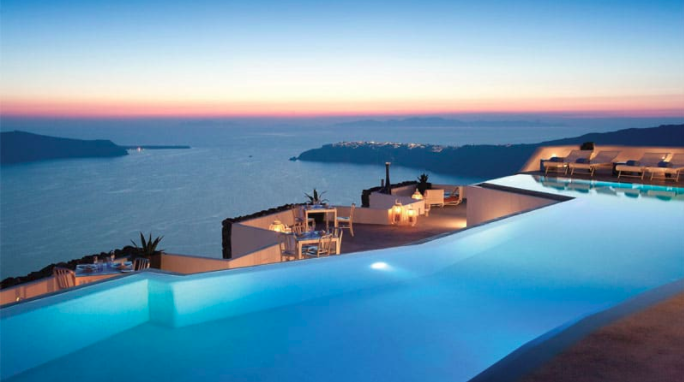 Everything about Grace Santorini hotel is romantic, and the infinity pool is no exception. Enjoy a romantic evening with your significant other by bathing in the pool and watching the sunset. If you need a break from the water, just step onto the poolside bar for some refreshing evening cocktails and a light bite to eat. This amazing tropical resort sits on Rangali Island in the Maldives. Enjoy a swimming date in the Quiet Zone pool with your special someone—it’s meant for two! Lounge around in the main infinity pool on Rangali Finolhu Island, then sprawl across a beach chair to soak up some sun. Whichever infinity pool you go with, you’ll be sure to feel relaxed beyond imagination. Located in the heart of Ubud, Indonesia, the infinity pool at Hanging Gardens of Bali stands tall amid the stunning rainforest. 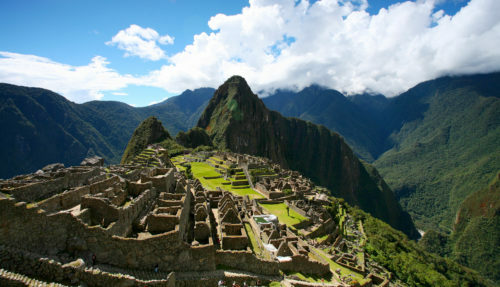 It’s more like a group of infinity pools stacked atop one another so that you can swim on multiple levels. 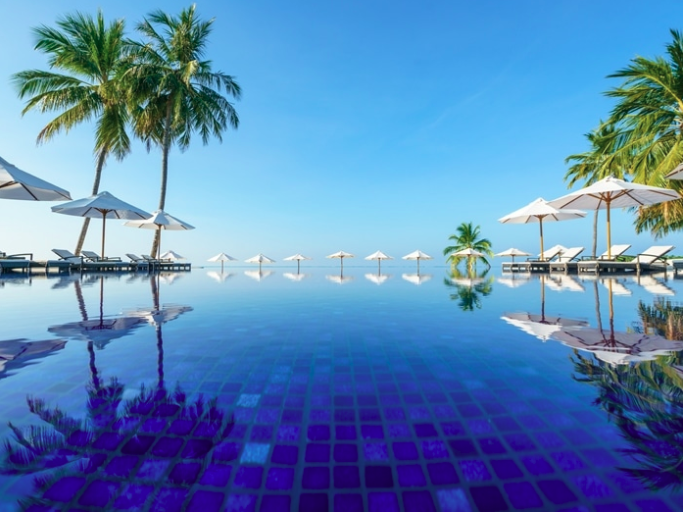 As if that’s not enough to entice you, Condé Nast even dubbed this infinity pool “The World’s Best Swimming Pool.” So clearly, while this may be last on our list, it’s certainly not least. 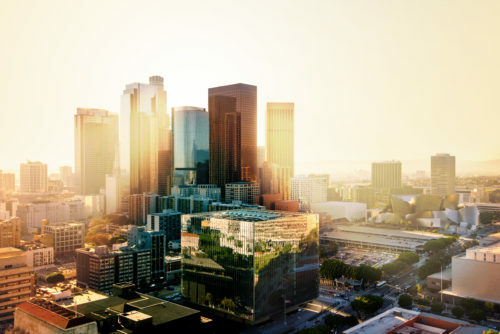 Trekbible is a travel website that covers everything from intel to inspiration. 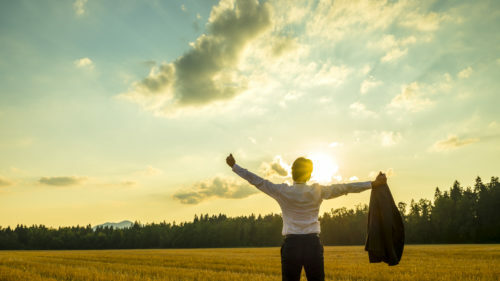 Their goal is to discover and experience all corners of the world and become better travelers, and then share those experiences and insights with their readers. 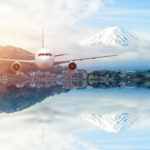 Check out their website for expert traveling tips and guides, culture highlights, travel accommodations and deals, amazing attractions, and more.